Our delicious coffee choices, fresh baked goods, and outstanding sandwiches, soups, salads and entrees are just some of the reasons our customers keep coming back. Friendly service and a comfortable atmosphere make our small cafe' worth looking into for you and your family. 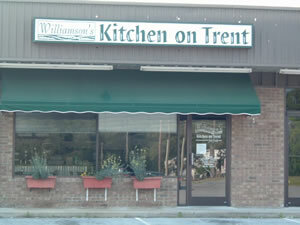 We are a cafe' restaurant located in Trent Village Shopping center on Trent Road. There are always new and exciting things going on, so check out what's new on our What's New section and on Our Menus! Click play to hear music from the restaurant!